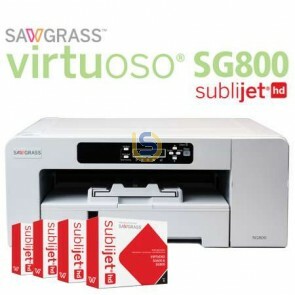 Virtuoso SG 800 inkjet printers deliver crisp, gorgeous prints up to 13" x 19" / A3+ (with optional bypass tray) and maximum efficiency for product decorators looking for the highest level of reliability and throughput. Delivers prints up to 28cm x 43cm standard, 33cm x 48cm (A3+) with optional bypass tray. 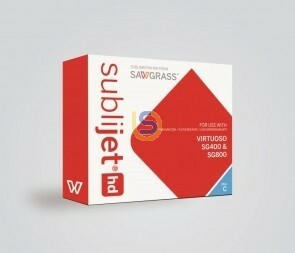 1x Virtuoso SG400 Printer, 1x set of Cartridges (CMYK), 1x pack of 100 sheets Sublimation paper, 1x heat proof tape. 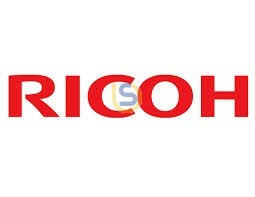 Suitable for Ricoh Printer Model SG 3110DN / SG 7100DN. 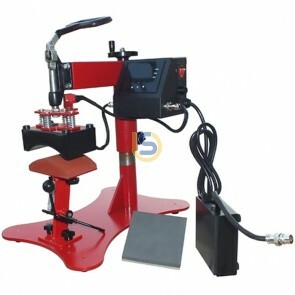 - BEST PRICE you can find or we match the price for you. Postage is No more than $13 express all over Australia. High Capacity cartridges suitable for Ricoh Printer Model SG 7100DN. - BEST PRICE you can find or we match the price for you. Postage is No more than $13 express all over Australia. Ink Collection Unit for your Ricoh Printers. BEST PRICE you can find or we match the price for you. Postage is No more than $13 express all over Australia. Suitable for Ricoh Printer Model GX e3300N / GX e7700N.